The Rapparees native performed sensationally today in the full-back position. Marking a returning Patrick Horgan for most of the game, it was never going to be an easy task – but the Enniscorthy man dominated throughout. Not just that full-back position, but the entire full-back line. The catch in the remaining two minutes of the game when Wexford were three-points up personified his leadership and excellence. Wow. Just simply wow. A performance from the top drawer. The Bunclody club-man was everywhere; from the full-back line to scoring points from play at will. His engine, power and work-rate were integral factors behind the Model County’s win today. 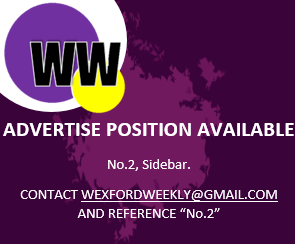 While it was a brilliant Wexford victory that quite possibly could keep them in the division, the injury of Oylegate star Damien Reck may also be an unwelcomed dagger to the heart. As Shane Stapleton states, Reck was a big prospect for the Yellowbellies with several impressive displays in 2017 before an injury ruled him out for the latter end of the season. Damien Reck off injured. Looked a real prospect last year before injury ended his season. Big prospect. Similarly, in 2018 his performances in the Walsh Cup and against Waterford in the opening round of the League were outstanding. Let’s hope he doesn’t suffer the same faith this year and that the 20-year-old Oylegate hurler will return to action soon. If there’s any negative about Lee Chin’s towering performance today, it has to be his inconsistent free-taking. It’s worth noting that he did create many of the frees himself through his diligence in play, but frees inside the 65 need to be going over at this level. Bringing up Mark Fanning to hit 65’s quite possibly could be the answer, even though he did miss three today too. Overall, Jack Guiney is probably Wexford’s best free-taker. However, whether he will cement his place down in the starting XV bears another problem for Fitzgerald. When he is on the field though, it’s hard to wonder why other players would be taking them. The Rathnure man’s free at the edge of the 70m line in the dying moments further demonstrated why he should be taking them. Can this form & intensity continue? Oh, long may it continue. So far, Wexford haven’t lost a game – being victorious in the Walsh Cup and now in the opening two League games, it’s an ideal start to the campaign. But it’s a long year. And with higher intensity games in the top tier of the hurling league combined with extra games in the Leinster Championship, it will be difficult to maintain such consistent, dominating performances.